A bit of crochet fun for this post. These are the things I've been working on lately. It was a nice change from tatting so many versions of Qanik! Do you remember the Dachshund? 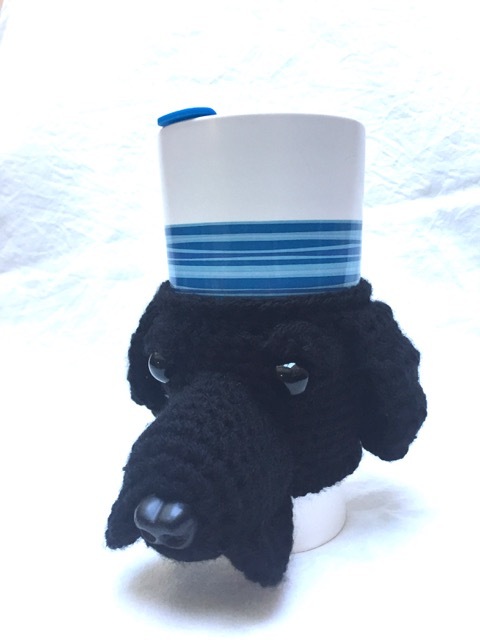 I helped a friend who wanted a Black Labrador version. Here it is. He's a bit hard to photograph as he's so dark! 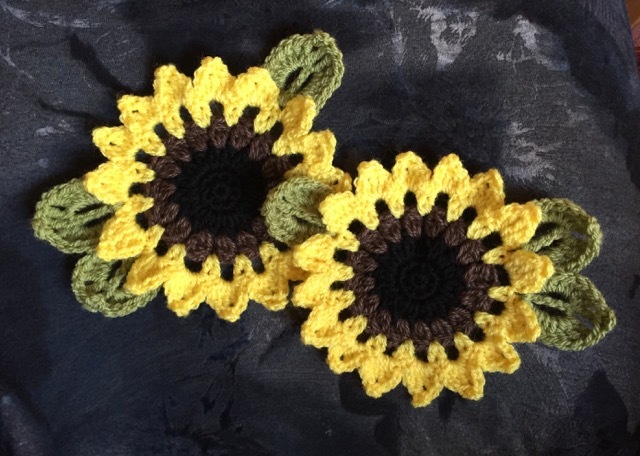 And I've also made some sunflowers for my daughter. They're coasters. I know young people don't need/use coasters, do they?, but my daughter really likes sunflowers so I thought she'd like them for her room. The sunflowers are beautiful! Even if she doesn’t use them they would cheer up any room! Gorgeous sunflowers, I hope they cheer her room up. Crochet is nice for a change. Lovely projects.